What good would the original crew be without aliens? I'd buy a 14" Neptunian. 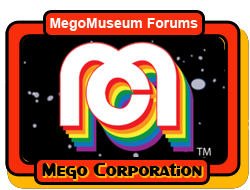 I'd buy 14" TOS figures, especially if there was a classic Mego bridge playset made to their scale. My preference is for Mego to go deeper into 8" selection and add playsets (Enterprise, agony booth). Plus QMX is doing a 12" series currently (albeit at a much higher price point). I would rather have 3 3/4 inch Star Trek than 14"
O-NO! I got it right??? There is a 14” Star Trek crew in my future?? I’m loving MEGO 2.0!!!!! Gimme a Kirk, Spock, and Gorn in 14" scale! Not really my cup of tea as I'm mainly into the 8" format, but I'm sure they will sell well. I haven't bought any 14" figures and don't plan to...but I'm still happy for the people that do collect them. I do hope someday, that some talented Customizer will shrink the heads down to 1/6 scale and so I can put them on Hot Toys bodies. That is, if they're good sculpts of course.